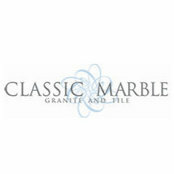 Established in 1999, Classic Marble, Granite & Tile is a locally owned family business. Owner, Ali Sadeghy, is involved in every aspect of the work performed and has over 35 years of experience in the stone industry. We are well known for our knowledge, ingenuity, quality work and attention to detail. 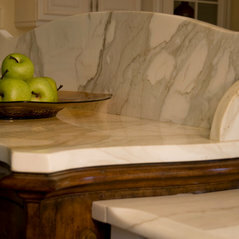 We specialize in custom stone work including countertops, vanity tops, fireplace surrounds and more. Please visit our showroom where you can get help and information for all your granite, marble and stone projects. Our work has been featured nationwide in Renovation Style Magazine and local publications such as Charleston Home & Design Magazine. We had amazing experience and I would highly recommend Ali and Gina! They were professional, helpful and very, very good at their craft. Can't say enough wonderful things about our new counters. Commented: CountertopHi! That's Calcutta Gold Honed Marble.